Which Fireworks Are Legal in Virginia? 03 Jul Which Fireworks Are Legal in Virginia? As July 4th draws near, we at the Paullin Law Firm know that people in Richmond, Virginia and across the United States are making plans to commemorate the anniversary of our nation’s independence. Along with patriotic anthems, tales of American history, and backyard cookouts, displays of festive fireworks play a major role in celebrating this national holiday. With this in mind, this article explores what Virginia law has to say about fireworks, and how you and your family can stay safe this 4th of July. 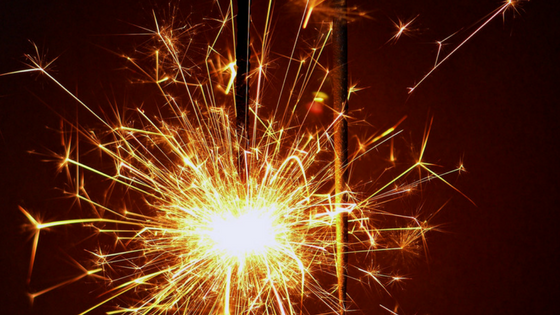 Why Do We Light Fireworks on Independence Day? Americans have a long history of lighting fireworks for the sake of festive entertainment, and Virginia has a particular claim to fame. After gunpowder was brought to Europe from East Asia, European citizens began using fireworks displays to celebrate special events and military victories. Settlers who came to North America brought this tradition with them, and the first recorded fireworks display in the now-United States was at Virginia’s own Jamestown Settlement in 1608. What Does Virginia Law Say about Fireworks? In order to promote the safety of its citizens and to prevent wildfires, the State of Virginia limits the types of fireworks available for purchase, possession, and use by the general public. While specific regulations vary based on the city or county in which you live, fireworks including firecrackers, sparklers, bottle rockets, skyrockets, torpedoes and other fireworks that explode, travel laterally, rise into the air, or fire projectiles into the air are illegal in Virginia unless you are a licensed contractor. Varieties that are generally permitted include sparklers, fountains, pharaoh’s serpents, pinwheels, and whirligigs. In some areas, including Chesterfield and Henrico counties, all fireworks (including sparklers) are prohibited. Remember that it’s not only the lighting of illegal fireworks that could get you in trouble in Virginia: Prohibited items may not be stored, transported, or manufactured within state limits either. Professional displays are permitted to include some of the fireworks listed above if a permit is granted in advance. For those without a permit, possessing, selling or using unlawful fireworks is a Class 1 misdemeanor, punishable by up to12 months in jail and a fine of up to $2,500. A responsible adult should supervise all firework activities; never give fireworks to children. Use fireworks outdoors in a clear area, away from buildings, vehicles, trees, or dry grass. Always have a bucket of water and charged water hose nearby. A wet towel, rake, or shovel can also help ensure fireworks are fully extinguished. Don’t bring your pets to any fireworks display. If fireworks are being used near your home, put your pet in a crate or a safe, interior room to avoid exposure to the sound. Never shoot fireworks of any kind (consumer fireworks, sparklers, fountains, etc.) near pets. Better yet, let someone else design a pyrotechnic display for you: find out about fireworks displays at your local baseball diamond, community center, or park. Wherever you’re celebrating this year, the personal injury attorneys at Paullin Law Firm wish you a safe and happy 4th of July. If you do find yourself injured due to the negligent or irresponsible actions of others, we will be here to help.